Will the internet eventually kill newspapers? A rapidly unfolding story like the earthquake in Japan and the devastating tsunami and nuclear concerns that followed shows the strengths of the news media but at the same time exposes its limits. 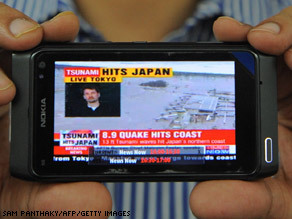 The Japan earthquake hit about 12:45 a.m. ET last Friday morning. Internet news sites, blogs and cable television broke the story right away and stayed with it. Newspapers on the other hand scrambled to get such a late breaking story to print... and could only report so much before the presses got rolling. "Hot off the presses" wasn't so hot when it hit doorsteps across the country, so readers relied on other outlets to find out the latest. A new report from the Pew Center's Project of Excellence in Journalism says 41 percent of Americans say they get most of their national and international news from the Internet. That's up 17 percent - more than double - from a year earlier. And that number's likely to grow. The internet not only provides up-to-the-minute news to anyone who's interested, but in the case of Japan, also puts them one-click away from humanitarian aid websites, groups that are helping loved ones find each other, and opinion blogs. And laptops, smartphones and electronic tablets like the iPad are making the Internet easily accessible almost everywhere. Here's my question to you: Will the internet eventually kill newspapers? In the wake of Japan's deadly earthquake, tsunami and nuclear power plant explosions, we have witnessed the almost indescribable chaos that follows a disaster of this magnitude: loss of life, severe injuries, homelessness, lack of water, food and proper medical care, the physical destruction of towns and cities, and a growing fear of radioactive contamination from power plants that seem beyond anyone's ability to control. 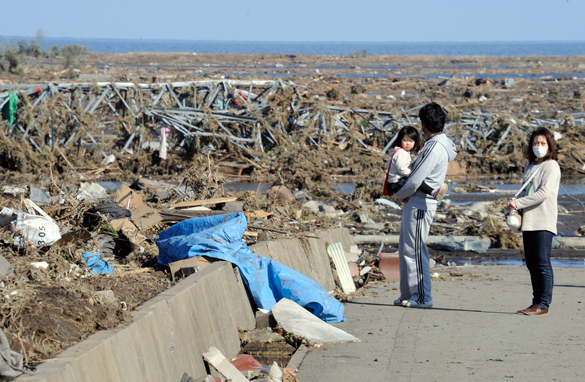 But one heart-wrenching byproduct of disasters like this one has been missing in Japan, and that’s looting and lawlessness. Looting is something we see after almost every tragedy; for example: last year's earthquakes in Haiti and Chile, the floods in England in 2007, and of course Hurricane Katrina back in 2005. It happens when some people who've seen life as they know it get tossed out the window feel that all morality has been tossed out too. It's survival of the fittest and whatever you can get your hands on is yours, no matter who it belongs to. But that's not happening in Japan. Journalist and social commentator Ed West wrote in the UK Telegraph yesterday how struck he was by the Japanese culture throughout this ordeal. 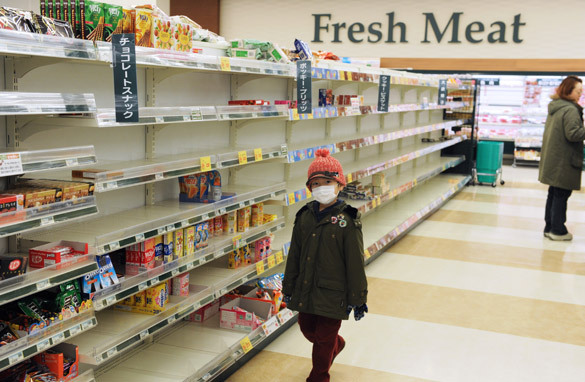 He observed how supermarkets cut their prices in the days following the quake and how vending machine owners were giving out free drinks as "people work together to survive." And West was most surprised by the fact that there was no looting. Many have pointed to the popularity of Japan's distinctive Buddhist and Shinto religions as well as how the values of conformity and consensus are considered virtues in their culture. That's one explanation, but it probably has something to do with remaining true to your moral code even in the darkest hours. Here’s my question to you: Why is there no looting in Japan? 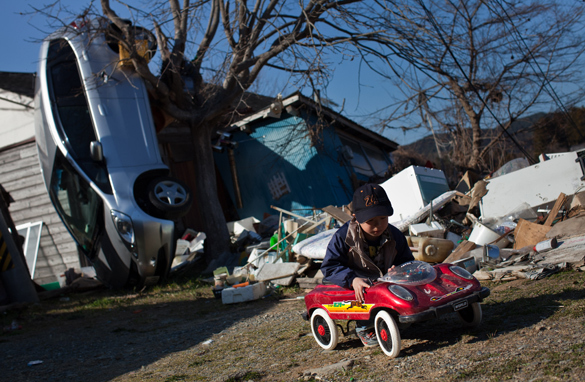 Should Japan earthquake stop future construction of nuclear power plants? Inspectors from all over the world are trying to figure out how dangerous the Japan nuclear situation actually is. It can't be good: hydrogen explosions, fuel rods exposed, reactors overheating, radioactive vapor being released into the atmosphere. The director of the International Atomic Energy Agency said today the situation at the Fukushima Daiichi power plants is unlikely to become another Chernobyl. Really? Why is my BS detector on red alert? And what happens if a series of major aftershocks rock that region? France's nuclear watchdog today said the situation at Fukushima is worse than Three Mile Island, the 1979 meltdown at a plant in central Pennsylvania. That was the worst nuclear accident in U.S. history so far. No one was injured at Three Mile Island and no one died, but the situation was considered so serious that the U.S. Nuclear Regulatory Commission ramped up safety standards after the accident and stopped the construction of new reactors for about 30 years. But we've got growing demand for energy in this country… and nuclear power has been poised to make a sort of comeback. In the past few years a handful of power companies have applied for permits to build new reactors. Republican Congressman Devin Nunes of California introduced a bill earlier this month that would call for the construction of 200 new nuclear reactors by the year 2040. President Obama has touted nuclear power, saying it may be part of the solution to the energy and global warming issues facing the U.S. It all sounded good until last Friday in Japan. Now you can bet approval for new nuclear construction will be hard to come by whether the world is running out of oil or not. Here’s my question to you: Should the Japan earthquake stop any future construction of nuclear power plants?